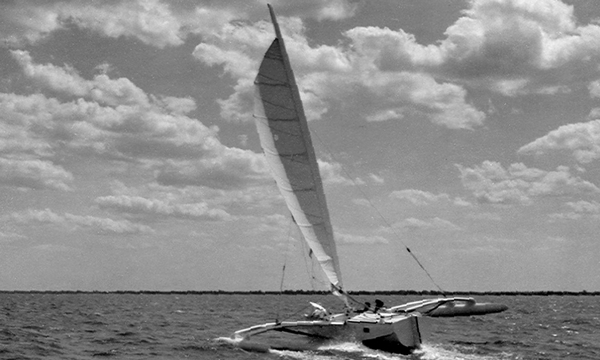 We came across the historic ROCKET ice yacht at the WoodenBoat Show in Mystic, Conn. The ROCKET is 50′ long has a 900 sq. ft. sail and was built in 1888. After many decades of deteriorating in storage and some stop and start restoration attempts, the surviving parts (cockpit, plank, and rudder) were sold to a foundation that formed to restore the historic vessel. 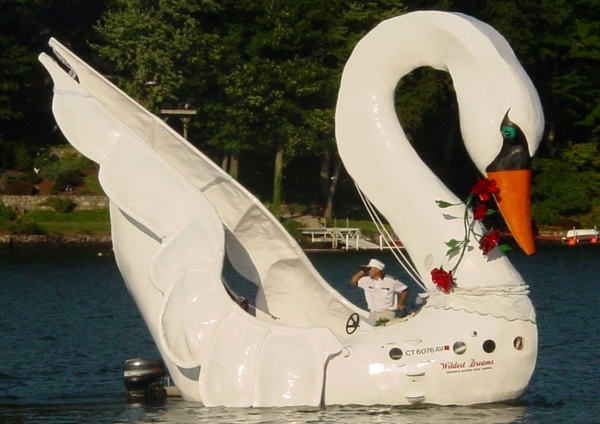 In 2003, the Rocket Ice Yacht Foundation of New Jersey purchased what remained of ROCKET for one dollar from the North Shrewsbury Ice Boat and Yacht Club. 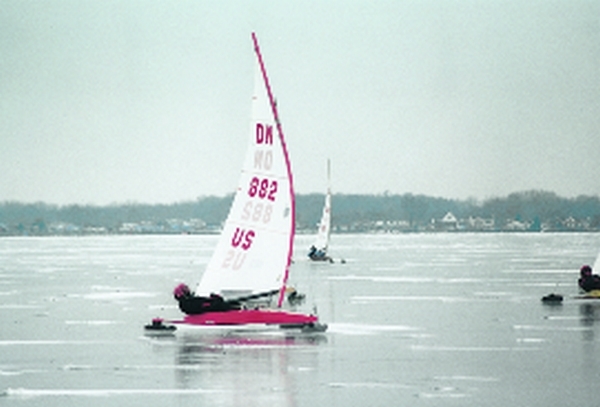 The project was led by boat builder Bob Pulsh, a retired plumber from Port Monmouth N.J. Bob and his team of volunteers used WEST SYSTEM Epoxy to restore and reconstruct the ice yacht’s parts. The project was completed in 2014. 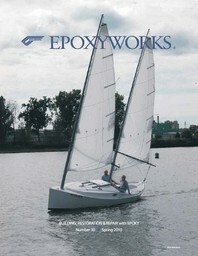 This entry was posted in Boat Construction, Readers' Projects, Weird & Wonderful and tagged Epoxyworks 44, iceboats on March 29, 2017 by Grace Ombry. On January 18, 1997, Gougeon Brothers Inc. co-founder and CEO Meade Gougeon, 58, became the oldest person ever to win the North American DN Iceboat Championship. He explains how he managed this feat in what is essentially a young man’s sport, in this article excerpted from the DN Newsletter. —Ed. 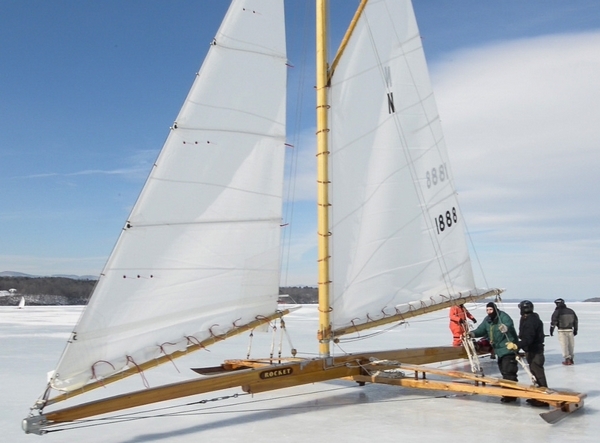 This entry was posted in Iceboats and tagged #9, DN Iceboats, Epoxyworks #9, iceboats, Meade Gougeon, Spring 1997 on July 1, 2014 by ewadmin.